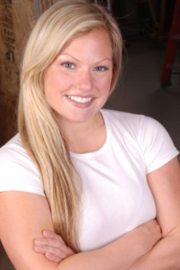 Heidi Clement has been a real estate agent with us for five years. She is a life-long Alaskan who is definitely someone I would describe as having found her niche. Thriving in a career she loves, is only shadowed by the opportunity to spend time with old and new friends and family. The excitement of finding a new home is now shared. The burden of selling your home is lifted. She is an expert and knowledgeable resource as well as a new friend. Heidi has a smile that lights up the room and for her, real estate is not just a job, it’s a lifestyle! Heidi says that Real Estate Brokers of Alaska has been the best career move for her. She loves the professionalism, support and encouragement she receives here.